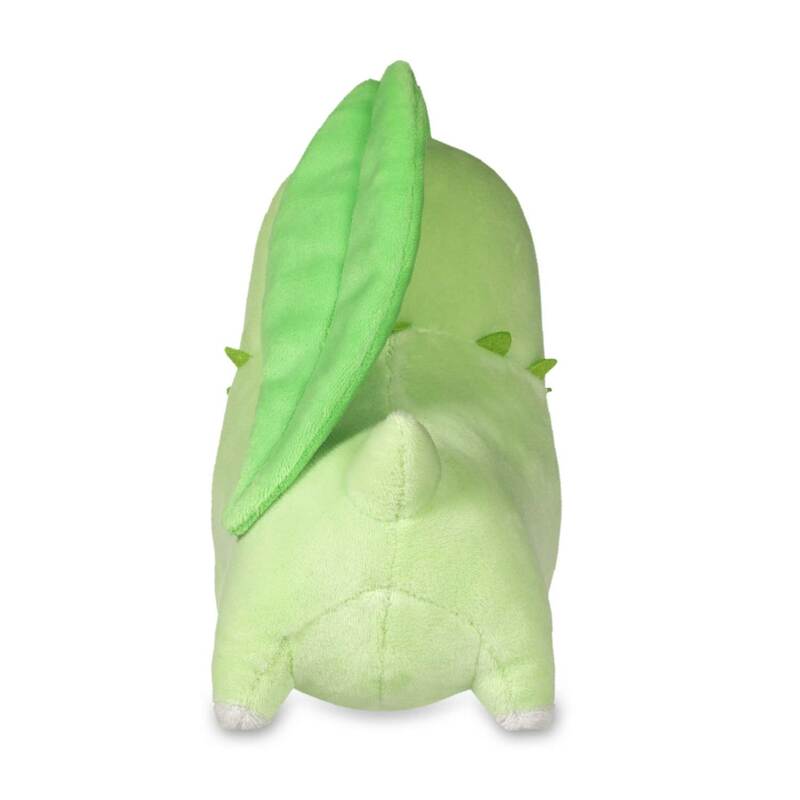 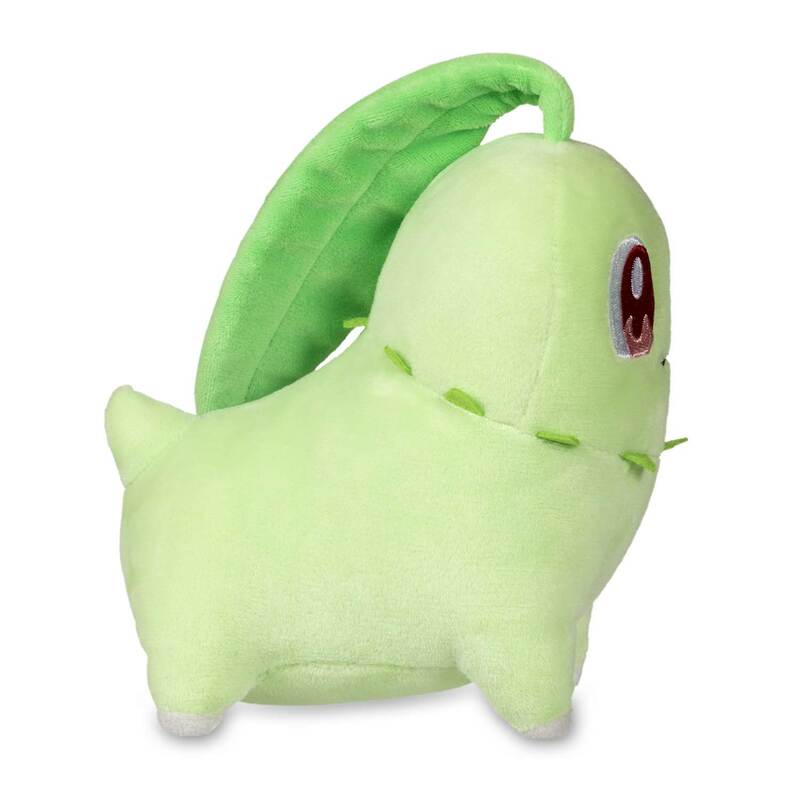 Chikorita Poké Plush (Standard Size) - 6 1/4 In. 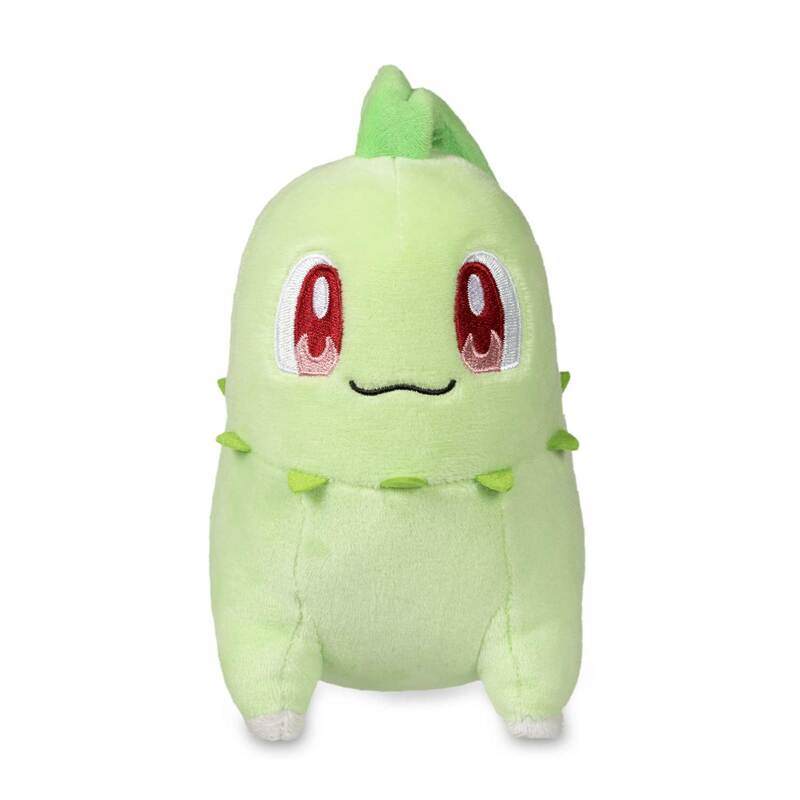 Small round-headed Poké Plush with a big smile, embroidered eyes, and a leaf-shaped flopper on top! 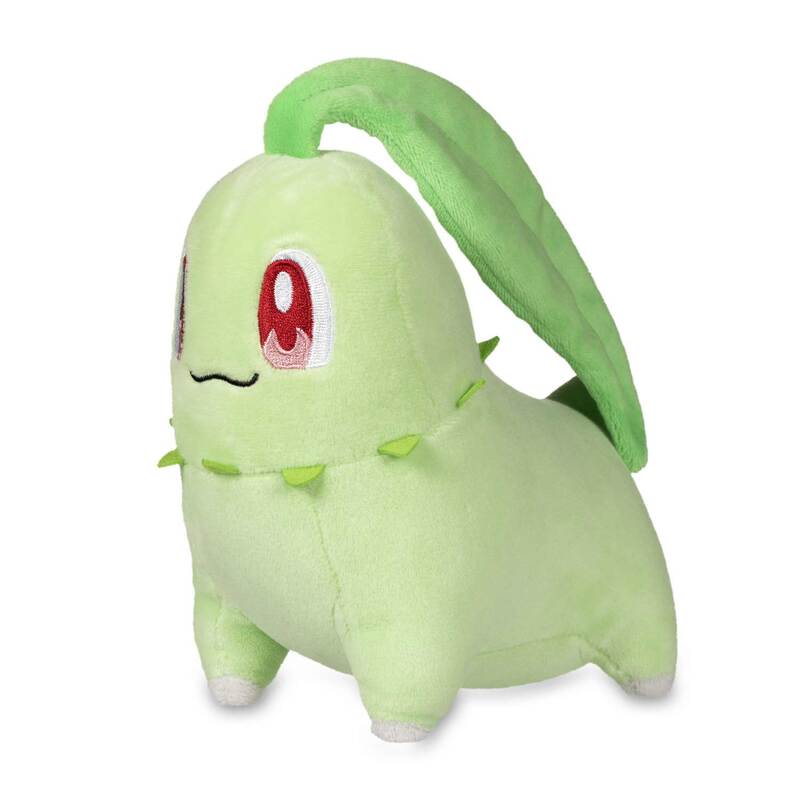 A terrific first partner Pokémon plush that stands on four small legs.